Dr. Dave Woynarowski MD, is a nationally renowned fish oil expert who has been studying and using fish oil himself and in his practice for over a decade. 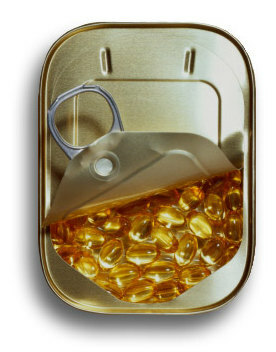 He commented on the current status of fish oil with regards to purity and Proposition 65 in response to several questions that have come up as a result of the Prop 65 lawsuit filed by a private consumer environmental group. What do you think of the Proposition 65 lawsuit and how will it affect the industry and the research into fish oil’s benefits? Dr Dave responded, “It’s unfortunate but some of the best known manufacturers got dinged. In all cases I think each of them met the FDA standards but the Proposition 65 standards are 4x lower and that makes it more work for the company to meet those standards. Why do you think the 10 companies named in the suit were singled out (these include Solgar, GNC, and Twin labs)? What do you think of alternative sources of EPA and DHA like krill? Finally, he added, “For the first time in history a supplement has been so robust and scientifically grounded that even traditional medical doctors are using it extensively. I think the future is very bright for fish oil and it remains the gold standard of Omega 3’s for scientific studies and human supplementation for the foreseeable future.